ing to Christine Page, MD. 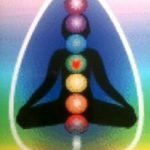 She says that gaining an understanding of the chakras’ spiritual qualities and how they influence our daily lives, makes a real difference to our personal health. With this knowledge to awaken & embody the feminine chakras, we can begin to appreciate how we relate to the world as well our soul’s potential, allowing us to live life with optimal meaning and purpose. In addition, she says we no longer need to be limited by the idea that there are just seven chakras, primarily associated with the body, but need to return to the ancient teaching to include two other chakras, the earth-child beneath our feet and the star-child chakras above our heads. To augment this understanding, there are sound yoga practices that enable us to embody this awareness quickly and deeply. Enjoy this free article on Awakening the Divine Feminine from The Healing Power of the Sacred Woman, Christine’s latest book due out November 2012. Join us for a special seminar, Embodying the Divine Feminine, being offered by Christine Page, MD, and Julie Lusk, M.Ed., RYT from Dec. 6-9, 2012 in Hilton Head, SC. 21 CEU’s . Learn more & register here. It’s filling fast and space is limited.